VW VW T5 2.5 with hybrid turbo now at 287hp/ 620nm. Unfortunately I couldn't find a Col. Sanders outfit, instead only my Rolf Harris one. My van probably won't go back on the dyno anytime soon unless I fit my other injectors but if it does I am more than happy to get a dyno run done on both 4F and 6F to see the difference. Ryan is right regarding the shoot out modes giving different readings but 5-10% difference seems extreme but I guess could be the case in some instances. So yes there was a difference of 11hp/ aprox 2.5% on this vehicle when comparing 4F and 6F. Last edited by martin33100; November 24th, 2016 at 12:56. That would be interesting to see, just looked through all my old graphs and the only run I have on 4F was when JKM dyno'd it as a T5 130 with just an upsolute remap and it made 160. 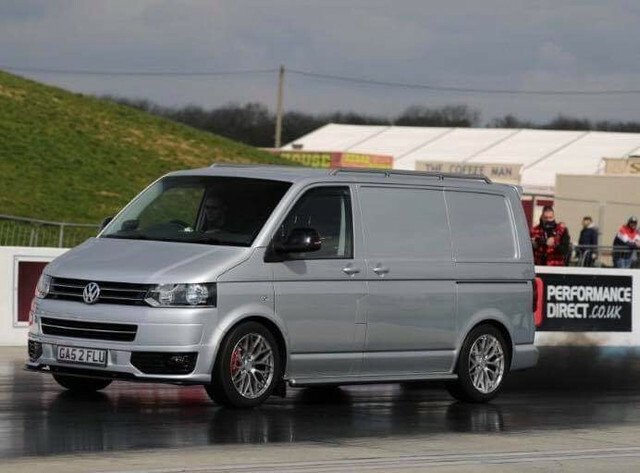 When Sanspeed mapped my original hybrid they first flashed it back to standard and my van made 125hp on 6F. Just an update really as the last time I was on here a tuner was pointing out my dyno runs were way out because we were testing in 6F and not 4F. 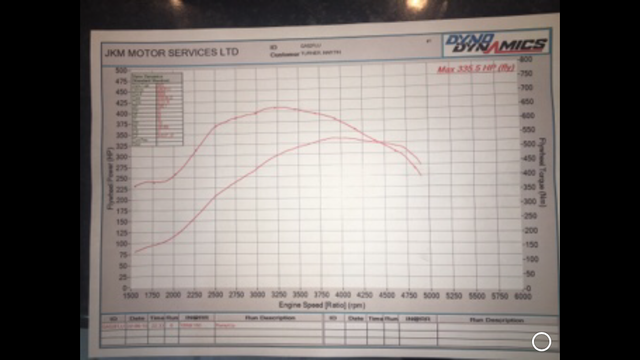 Last time my van was on the dyno we tested on both and my new hybrid, plus 50's and water meth made 300hp diesel and 335hp/665nm on water meth on 6F and only about 12hp less on 4F!. However did my first sprint yesterday at Santapod and with road tyres, 3/4 tank of fuel and a 2000kg vehicle with the aerodynamic of a brick I still managed a 15.22 @97mph!. Thanks to Bobby Singh for mapping and TDI Turbo's Verwood for my 174 hybrid turbo. Decent terminal speed for a van. With a better start i think you should hit 15s dead. Decent gains for a bolt on hybrid. Decent gains for a build on hybrid. Also made a rookie mistake and turned up with 3/4 tank of fuel so could probably nock another 60-80kg off as it's got the bigger factory tank fitted. For my first ever run at pod and on a 174 hybrid turbo I am well happy with the times so far. Just weighing up if it's worth trying that other manifold and a 2260vk/or ball raced vk or just leave it alone. You have decent spool and makes decent top end power. From Chris’s experiences we already know the safe limit without taking out a second mortgage. Second morgage yes.... I'm going to throw another £7k at the engine to see if I can hold it together but yes you are right "I have found the upper limit" at the moment. With the larger pistons and a reduced cr I should be able to hold the head down with the new bolts I've ordered. Also new turbo and manifold setup this time to improve the spool.